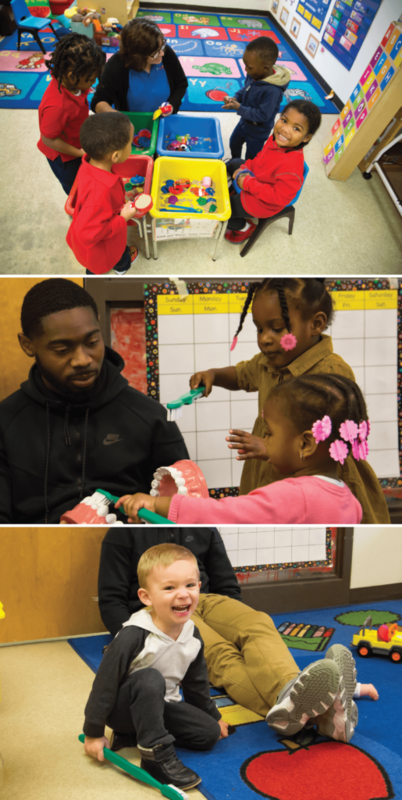 Prodigy’s Professional Staff boasts combined fields of experience in Early Childhood Education, Nursing, Pediatric Health Care and Elementary Education. All staff is CPR Certified, trained in First-Aid and must undergo annual continuing education in these disciplines. Prodigy’s Common Aim is to develop your child’s positive self-image, help them experience the rewards only a successful education can bring and maintain a watchful eye for signs of adverse health or development. Prodigy emphasizes Constant Vigilance, when it comes to your child’s safety and security. It’s what every parent can count on at Prodigy. All parents are required to furnish photos of anyone authorized to visit or pick up their children. Photos are kept on file and no child will be released or exposed to anyone without proper clearance. No exceptions. Access to the school building is restricted through use of a computerized, encrypted, coded-entry touch pad. Each parent receives an assigned code and NO ONE else can gain admittance unescorted. Outdoor playgrounds are fenced and gated and access is restricted to authorized personnel only. Management continually monitors all classrooms and play areas for safety issues. Staff performs formal monthly inspections and receives annual safety and security training.